Once they know they’re in over their heads, some homeowners decide to hire the cheapest kitchen remodeling company they can find or even work with non-professionals. A professional Bay Area general contractor will help you avoid these common mistakes. It will cost you more money upfront but the quality you receive in return makes it a worthwhile investment. 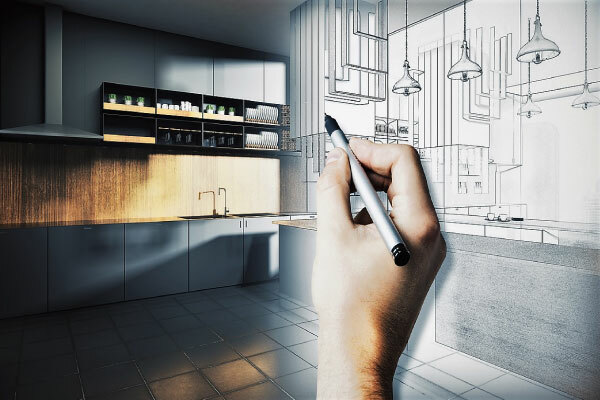 A myth has persisted for several years that homeowners should spend up to a certain percentage of the value of their home for a kitchen remodel project. The thought behind this is that it will increase the sale price when they decide to move. However, much depends on which areas of the kitchen need remodeling and whether the project includes the purchase of new appliances. We recommend forgetting this rule altogether and creating a budget that makes sense for you. Kitchen trends come and go. The last thing you want to do is design your entire kitchen around what’s in style right now only to have it become outdated within five years. Functionality is always more important than trendiness. If you plan to sell soon and want to upgrade your kitchen to attract more buyers, our East Bay HVAC company can make recommendations on how to achieve this. The above are just three tips on how to avoid a kitchen remodel nightmare. If you want to see your dream kitchen come to life instead, contact B.A. Morrison to request a free estimate and to discuss your renovation ideas. Learn more online HERE.